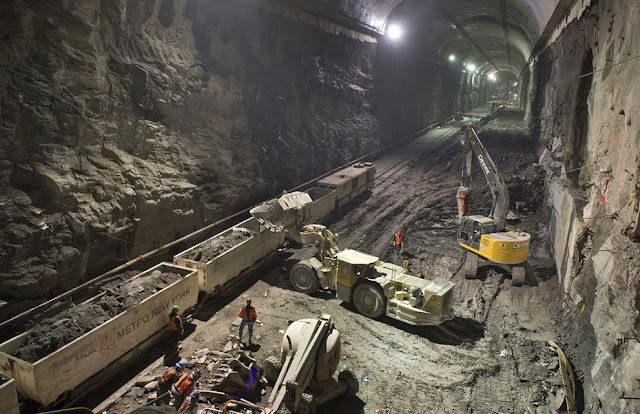 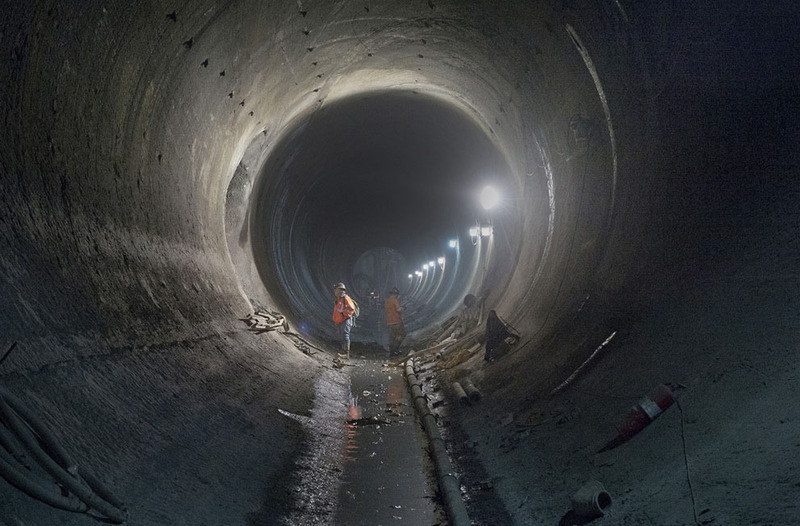 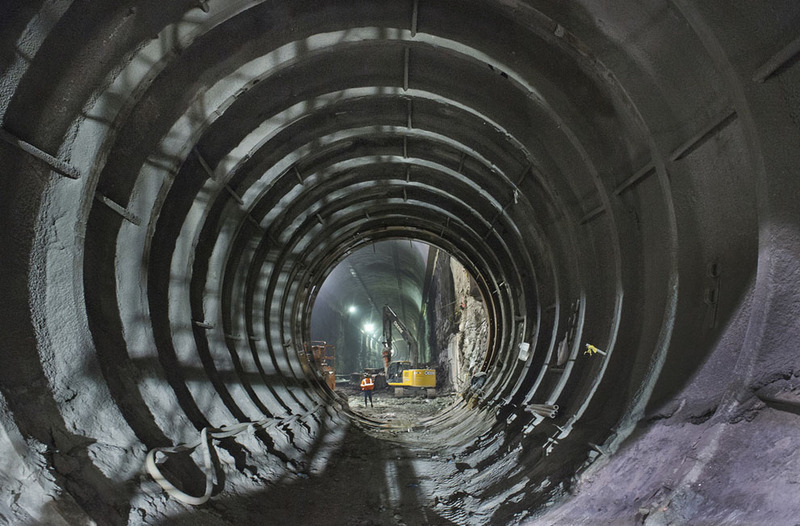 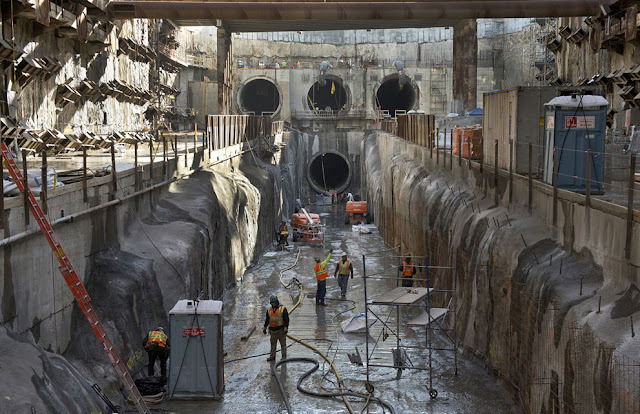 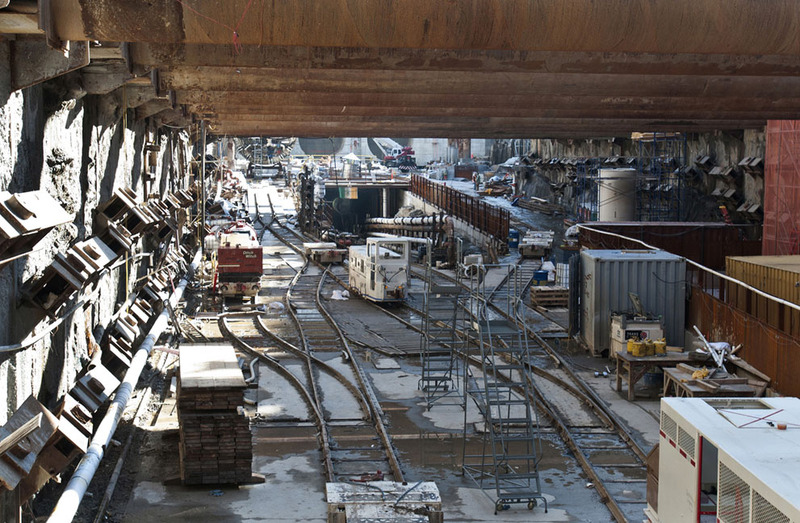 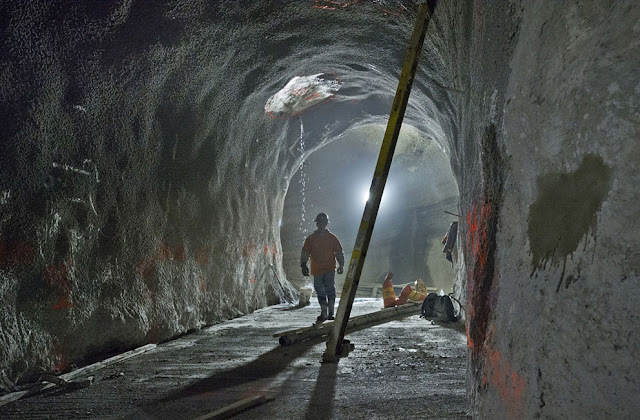 Here's an impressive new look at the amazing tunnels and caverns of the East Side Access, an extension of the Long Island Rail Road. 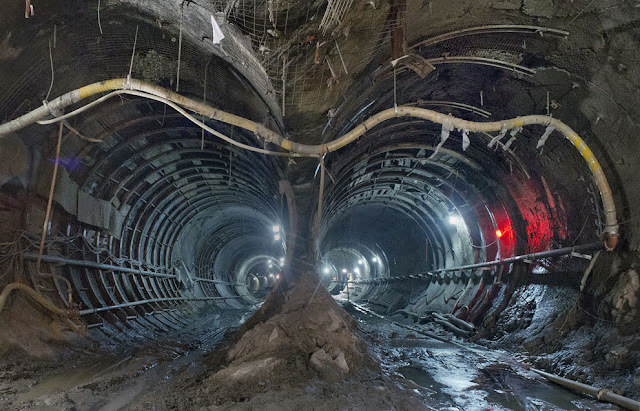 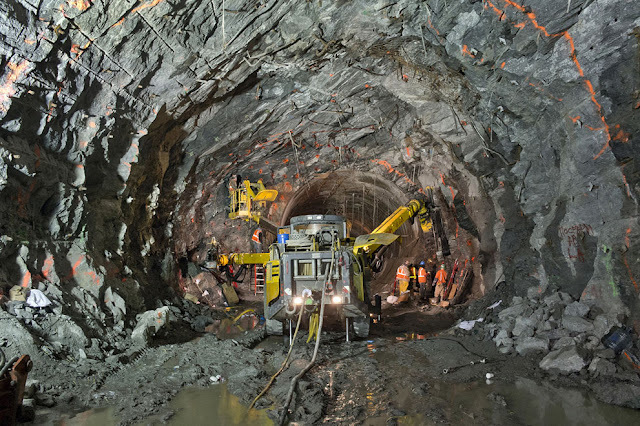 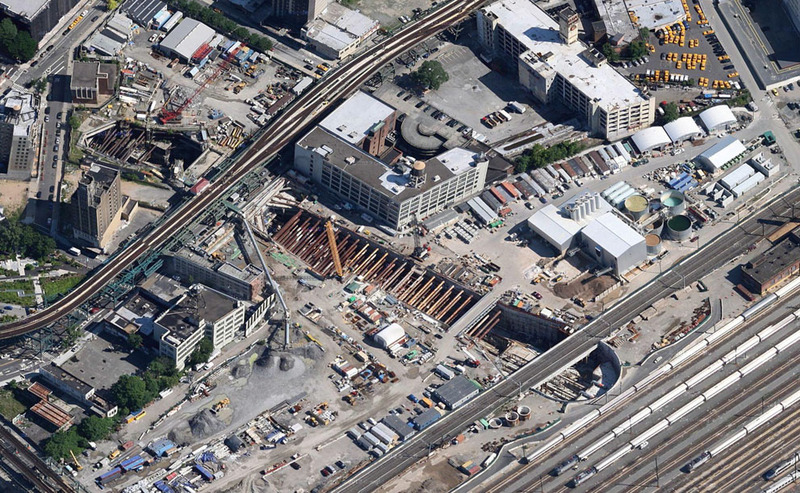 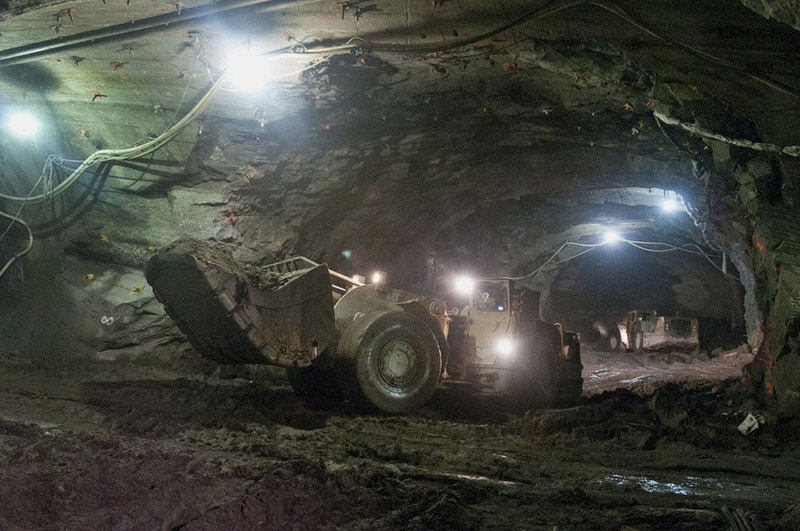 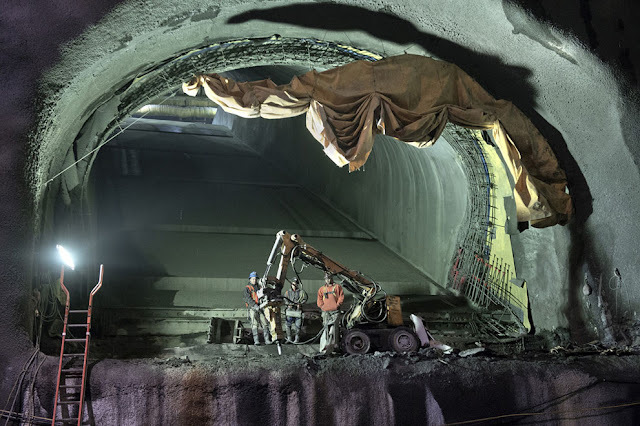 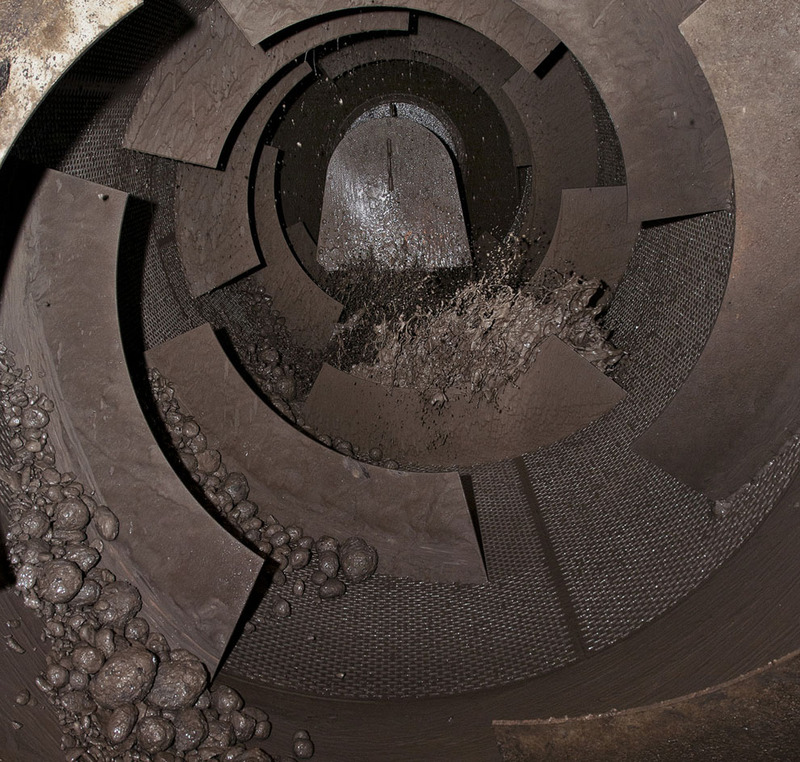 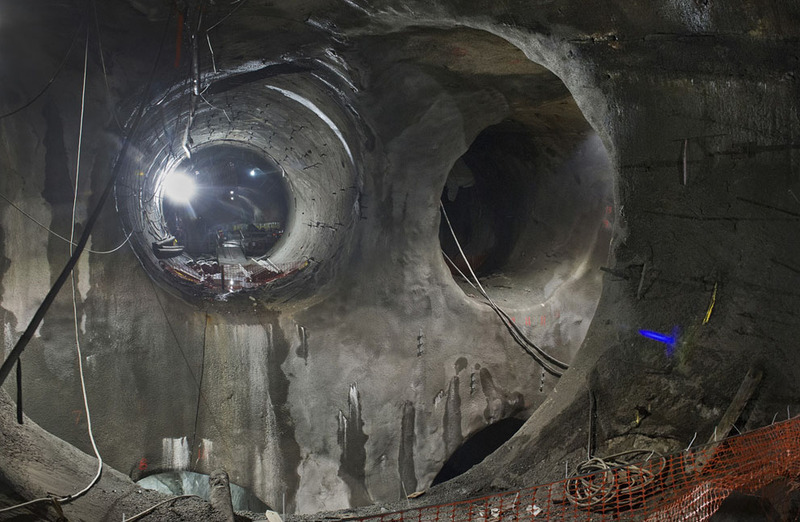 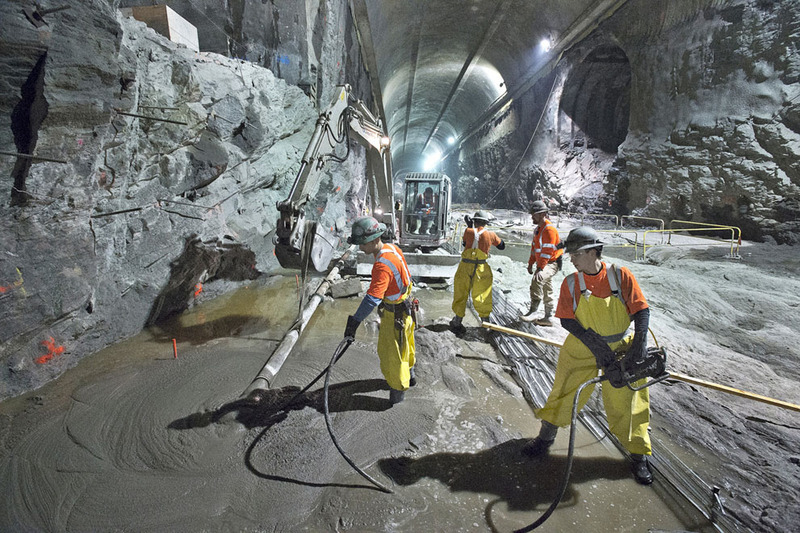 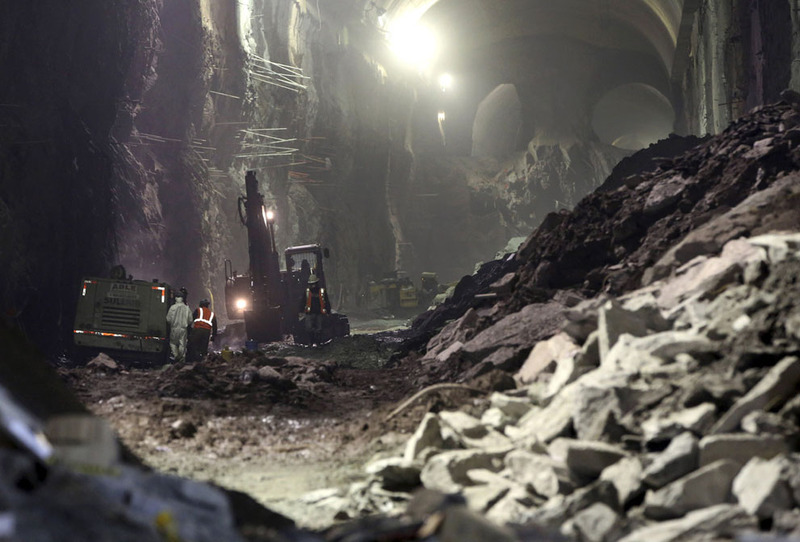 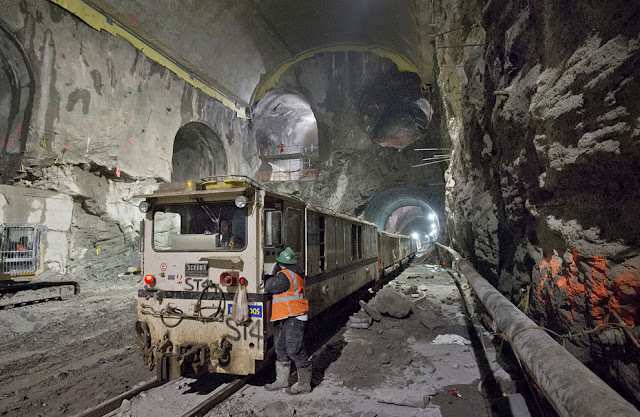 Together, the two massive earthworms and an army of machines and workers were able to eat 346,607 cubic yards (265,000 cubic meters) of New York's bedrock heart, producing 5.6 miles of tunnels and the massive caverns that will house the new station under Grand Central. 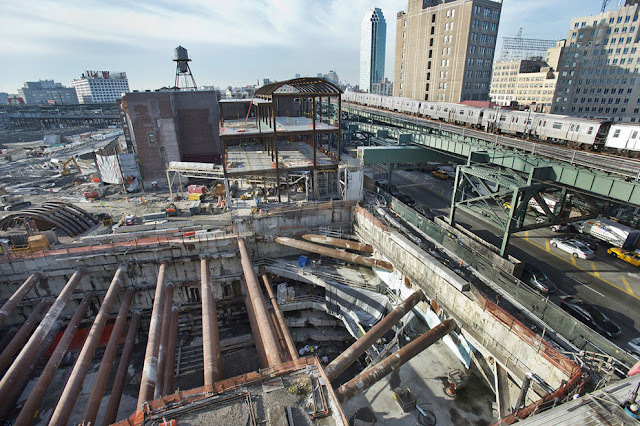 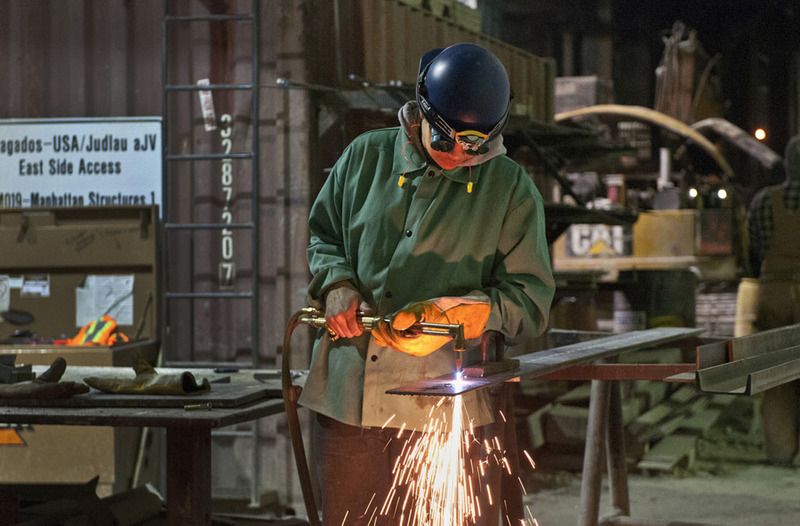 A project so big that it prompted—unfounded—fears of a major collapse of some old city buildings, like St. Patrick's Cathedral. 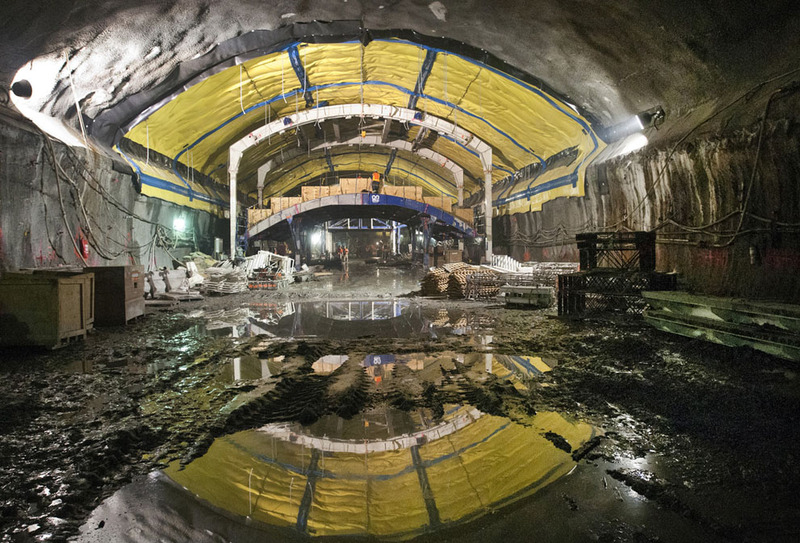 The work—which started in 2006—has been so complicated that the entire project has been delayed. Instead of 2014, it will now be operational in 2019. 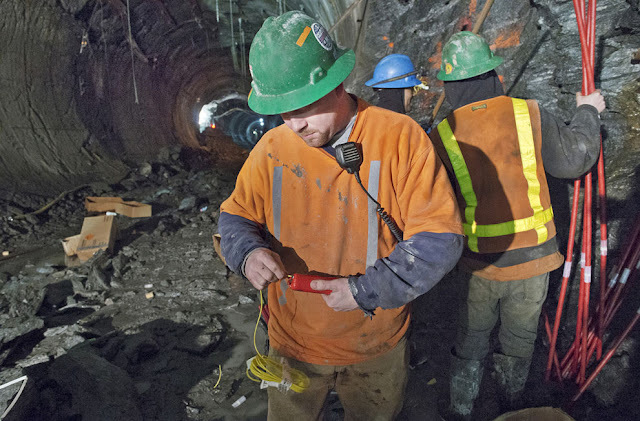 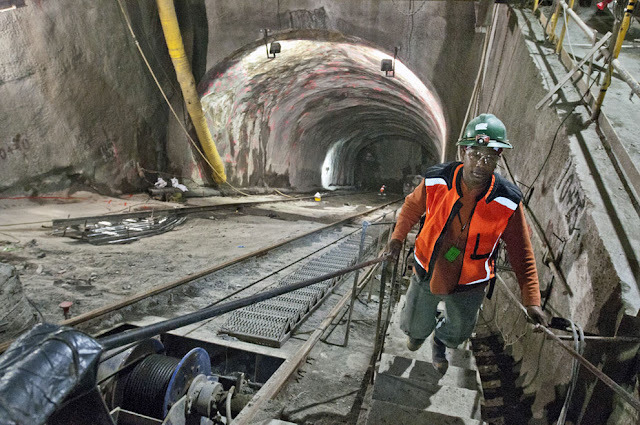 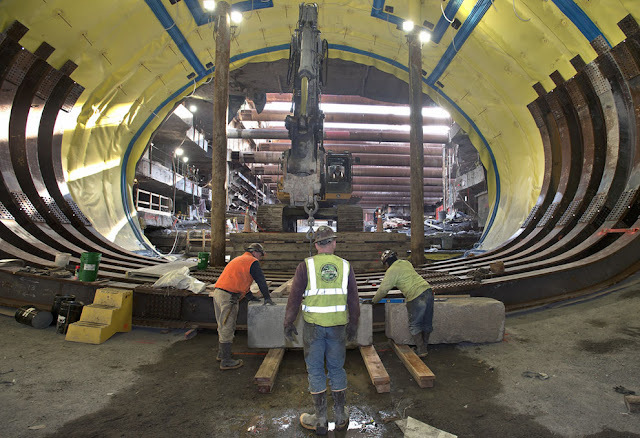 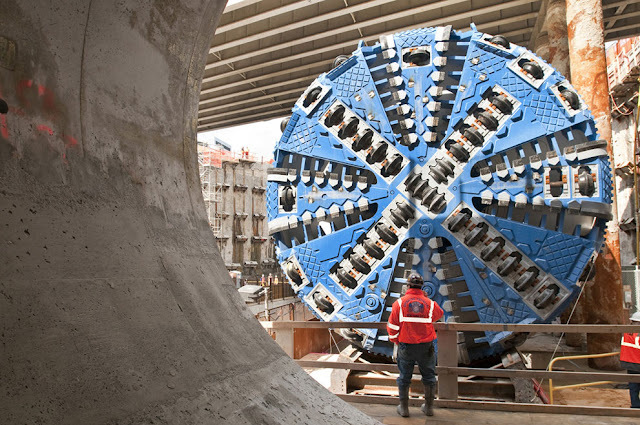 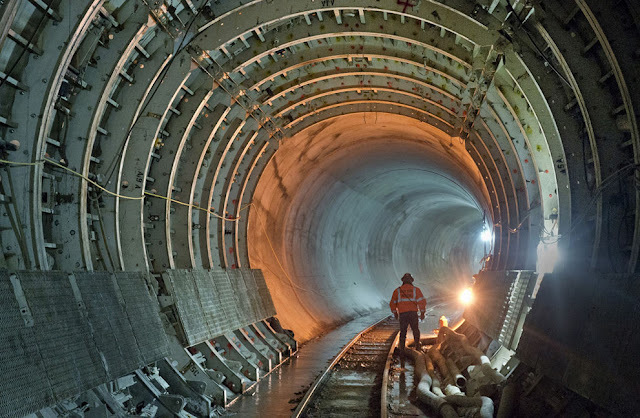 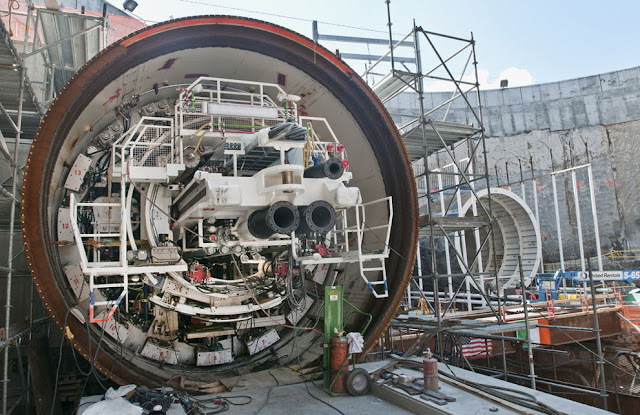 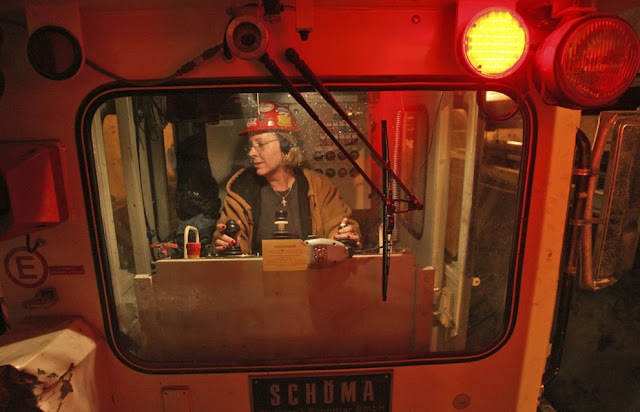 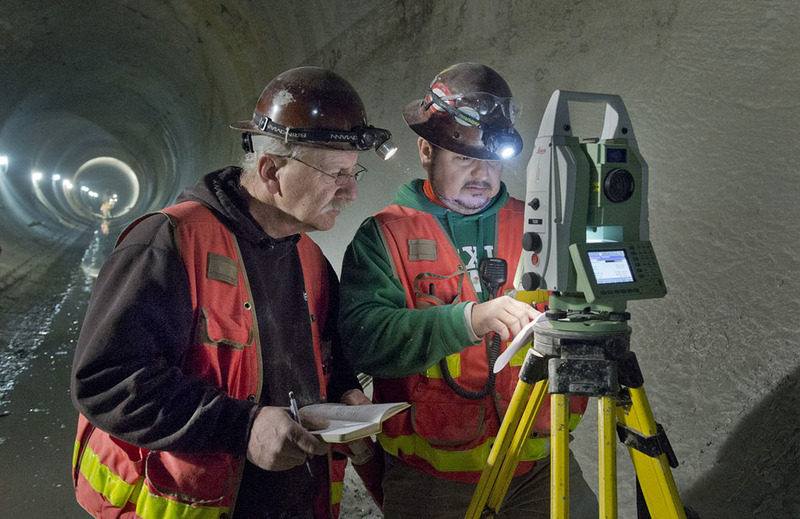 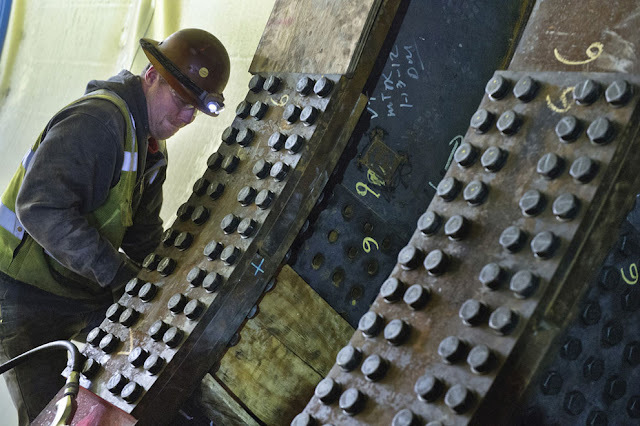 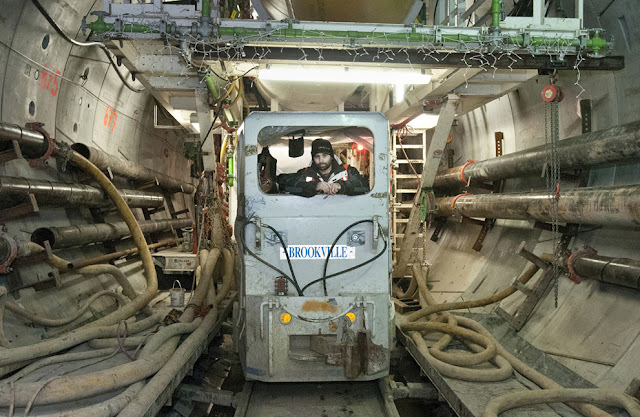 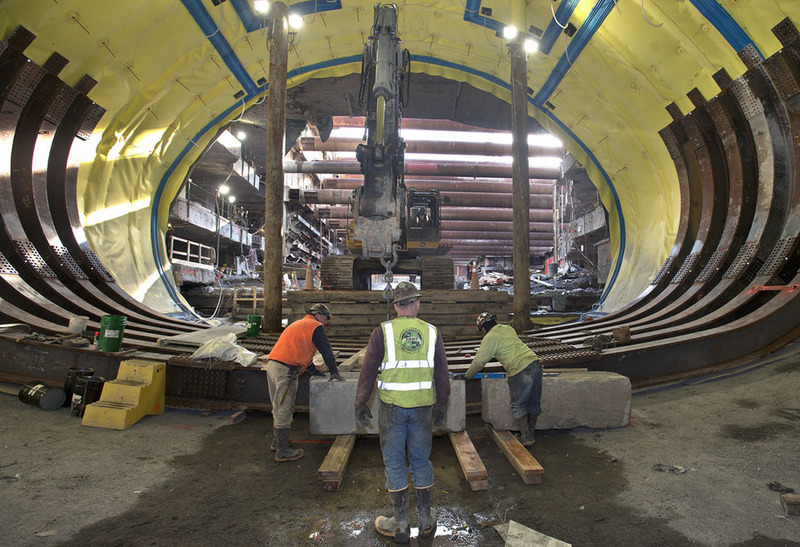 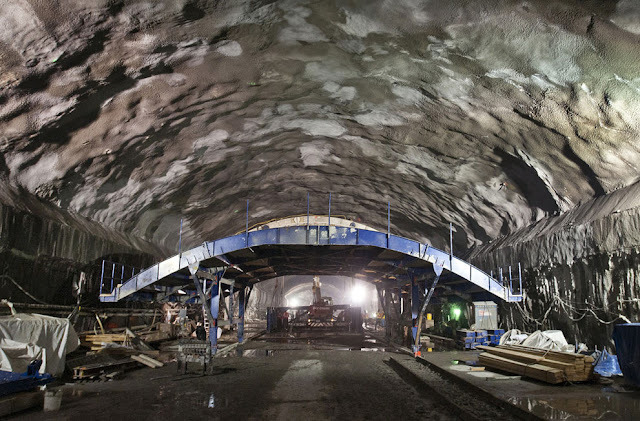 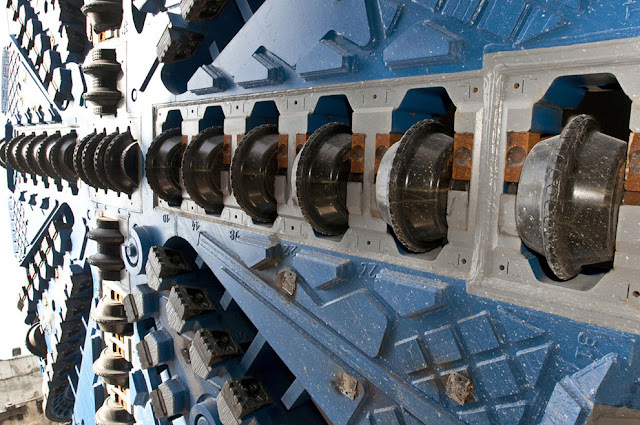 The tunnels extend from Sunnyside, Queens, to Grand Central, routing 24 trains per hour at peak capacity. 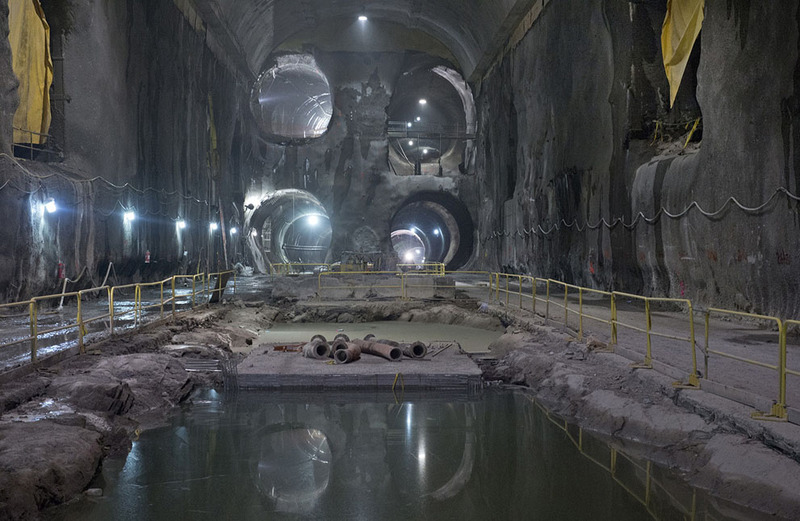 That's an amazing 162,000 passenger trips to and from Grand Central per day. 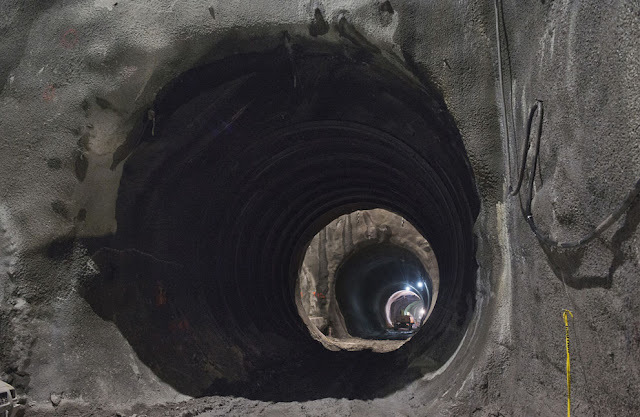 8 responses to "Incredible Images of the Massive New Tunnels Hollowing New York City"
london did this about 100years ago - literally!